The FBI investigation of the 2001 anthrax mailings may well have been the most extensive criminal investigation in world history. According to FBI, which closed its investigation on February 19, 2010, the Mailer was U.S. Government scientist Bruce Ivins, who committed suicide in July, 2008. But the evidence FBI has adduced is so weak that skepticism is widespread among scientists, other observers of the case, and the public at large. Many observers find it impossible to believe that the Bureau could persuasively rule out the other hundreds of scientists who had access to the virulent strain of anthrax from the flask Ivins kept. Few doubt that the anthrax in at least some of the letters came originally from this flask, but critics charge that FBI has no valid reason to claim that Ivins was the one who prepared the anthrax and put it into the envelopes. FBI has also not addressed the possibility that someone stole the anthrax, even though researcher Ross Getman has identified several university labs and a bioscience company where al Qaeda sympathizers could have had access to anthrax originating in Ivins’s flask.In addition, FBI’s effort to show that Ivins drove to New Jersey to mail the letters relies on flimsy circumstantial evidence. While the Bureau argues that the silica in the letters to the senators came from the environment, the 1.4% in the letters is much too high for silica normally picked up from the environment, presumably meaning that the silica was deliberately added to the anthrax to enhance its effectiveness. The Congress has been ineffectual in monitoring FBI or investigating the case. In the meanwhile, however, we can further the investigation, quite aside from whatever the U.S. Government does, simply by listing the various leading theories of the case as well as the also-rans. With such a list in hand, we can see more clearly in which direction to look. 1. Al Qaeda. Some observers (including attorney Ross Getman, the top researcher on the case, journalist Cliff Kincaid, and this writer) argue that the attacks were perpetrated by an al Qaeda terrorist. They offer answers to various objections to an al Qaeda origin and point to several university and bioscience company laboratories where al Qaeda sympathizers may readily have gained access to the anthrax in the lax security environment before the September 11, 2001 attacks. The main al Qaeda suspects are Adnan Shukrijumah (Getman) and Abderraouf Jdey (Kincaid and this writer). The news media have not reported key aspects of the al Qaeda theory of the case, but there have been articles on the putative possession of anthrax by the intending September 11, 2001 hijackers while they were in Florida and on al Qaeda’s biowarfare projects in Afghanistan. 2. Bruce Ivins. This is the theory of FBI and is accepted by various observers. It is also given credence by some media organizations. The theory relies entirely on circumstantial evidence and requires that one accept FBI’s interpretation that Ivins was an evil person who would mail anthrax letters in the first place and who did so to boost biodefense spending on his vaccine. Much evidence suggests that, while subject to psychological vulnerabilities and quirks, Ivins was in fact a competent, dedicated, loyal U.S. Government scientist. For an analysis of the weaknesses in FBI’s case, see FBI v. Bruce Ivins: The Missing Pieces. Recent analysis suggests that Ivins actually did prepare the anthrax, but he did so at Southern Research Institute in 1998-2000 in a secret project to test vaccines against reportedly dangerous new anthrax variants from the Soviet biowarfare program; and he did not mail it. 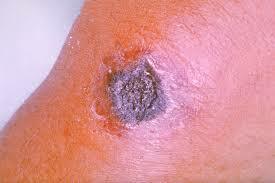 Contrary to FBI’s claim, he prepared the anthrax there from another source than flask RMR-1029, which was in his custody. See Was Abderraouf Jdey the Anthrax Mailer?. 3. Rogue U.S. Government (or former U.S. Government) Scientist (not Ivins). Proponents of this fairly popular theory point to individual researchers currently or formerly at the U.S. Army Medical Research Institute for Infectious Diseases (USAMRIID) at Fort Detrick, Maryland or at other U.S. Government laboratories. This theory fits Steven Hatfill, whose case received a great deal of media attention even after it became clear that he was not the Mailer. 4. Battelle-Dugway. The favorite theory of a few scientists and other observers of the case is that someone at defense contractor Battelle Memorial Institute or at the Battelle-managed government Dugway Proving Ground in Utah mailed the letters, presumably with the aim of boosting biodefense spending. Proponents of this view note the U.S. Government origin of the anthrax in the letters and other circumstantial evidence pointing to Battelle. From this perspective, the investigation of the case has involved a cover-up of a clandestine biowarfare program. This theory receives occasional mention in the media, but in-depth investigative articles have been few. 5. Domestic Terrorists or Mad Scientists. Some have speculated that a domestic terrorist group or a lone mad scientist could have prepared and mailed the anthrax, but the lack of any credible evidence has kept such theories from gaining a following. 6. Foreign Governments. Some observers have directed suspicion for the anthrax mailings on various foreign governments. Iraq, Russia, and Israel have been mentioned most often, but solid evidence has been lacking. The Iraq variant played a minor role in the run-up to the U.S. invasion of Iraq in 2003. So where does this leave us? Certainly farther ahead than if we had not drawn up this list. Why? Because we now have a statement of the main theories that at least provides a bit of clarity. But more important, we can now see that the public is being kept in the dark. After an initial flurry of reports, the American media have only lightly covered the Battelle-Dugway theory, and they have utterly failed to report key aspects of the al Qaeda theory of the case. Many news organizations know about the findings of researchers on the al Qaeda side of the case, but they aren’t telling the public what they know or conducting their own investigations and reporting on them. Above all, the media, with the honorable exception of Cliff Kincaid, have sedulously avoided any mention of Abderraouf Jdey. According to a 2010 Harvard report on al Qaeda, Abderraouf Jdey, a Montreal resident, had been detained (then evidently released), presumably by FBI, in summer, 2001. In the FOIA case Dillon v. FBI, which involved a request for the entire file on Jdey as well as documents related to the arrest of Zacarias Moussaoui, which occurred at the same time as Jdey was detained, FBI successfully avoided the release of a single document. 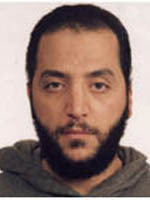 After 9/11, if we credit this theory, FBI failed to have the Canadians arrest Jdey, permitted him to cross the border twice to mail anthrax, then permitted him to enter the U.S. a third time to become, according to an al Qaeda detainee, the shoebomber who brought down American Airlines Flight #587 on November 12, 2001. However, because Jdey’s activities were a major embarrassment to the Bush Administration, Director Robert Mueller and President George Bush seem to have conspired to cover up the Bureau’s findings. Concealing a previous cover-up of the Flight #587 crash might have been another motive. In a Senate Judiciary Committee in September, 2008, in response to a question whether he considered the identification of Bruce Ivins as the Anthrax Mailer beyond a reasonable doubt, Mueller responded “Yes”. An extreme view. A lie. It appears that an innocent U.S. Government scientist was framed to cover up terrifically embarrassing FBI blunders in 2001, and the American people were repeatedly lied to. A shocking and outrageous case. Where are the journalists of America? Was Abderraouf Jdey the Anthrax Mailer? Did Ivins Prepare the Anthrax for DARPA?